The 2017 National Sport Convention was recently held in Melbourne (19 - 21 July). The convention provides an opportunity for delegates to gain new knowledge, hear inspiring case studies and share strategies that encourage more people to play, recreate and participate in community sport. At the convention Ilia Houridis, Director, Facility Development and Infrastructure at the Office for Recreation and Sport presented two sessions. His first presentation explored how sport peak bodies and Government can support local clubs to develop their capabilities and capacity. The second presentation considered how Government can collaborate with partners to invest financial and human resources in shared priorities. Both presentation were extremely well received and stimulated much discussion amongst delegates. 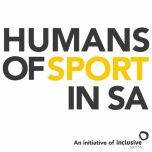 Also at the convention Inclusive Sport SA won the prestigious National Sports Award for Marketing and Communications for their Humans of Sport in SA social media campaign. 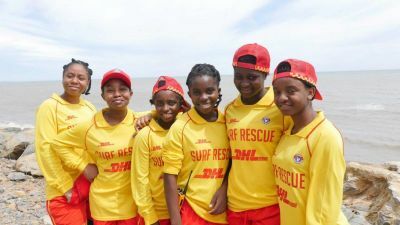 This innovative campaign was developed with grant funding from the Office of Recreation and Sport in 2016/2017. Motivating stories about South Australian athletes who inspire a sense of unity, strength, inclusion and respect are shared through the campaign with the aim of normalising and celebrating difference. The campaign originated from in-depth research into the barriers experienced by people trying to get involved in sport, in particular those with a disability or from other cultures. The research uncovered that a major hurdle is the attitudes and perceptions of people already involved in sport (e.g. players, coaches and officials). These uninformed and largely unintentional attitudes created an uneasiness amongst sport administrators about their ability to accommodate the needs of these prospective new participants, leading to unintentional exclusion. The campaign targets existing sport participants and administrators and aims to educate them on the benefits of welcoming all potential new participants and just how easy it can be.